How Important is Diamond Fluorescence? When shopping for a gorgeous diamond ring, chances are you first look at the 4Cs: clarity, cut, color and carat. But did you know there are other elements to consider when choosing a diamond? Fluorescence is big one. Its name may sound lovely, but it might surprise you to find out that fluorescence is not always a good thing. Diamond fluorescence is the soft glow of color a diamond gives off when it is placed under ultraviolet light, like the sun’s UV rays. You might think that all diamonds have fluorescence, but the truth is that only one third of diamonds do. The color most diamonds give off under UV light is blue, although you can also see other shades like yellow, green, or pink. 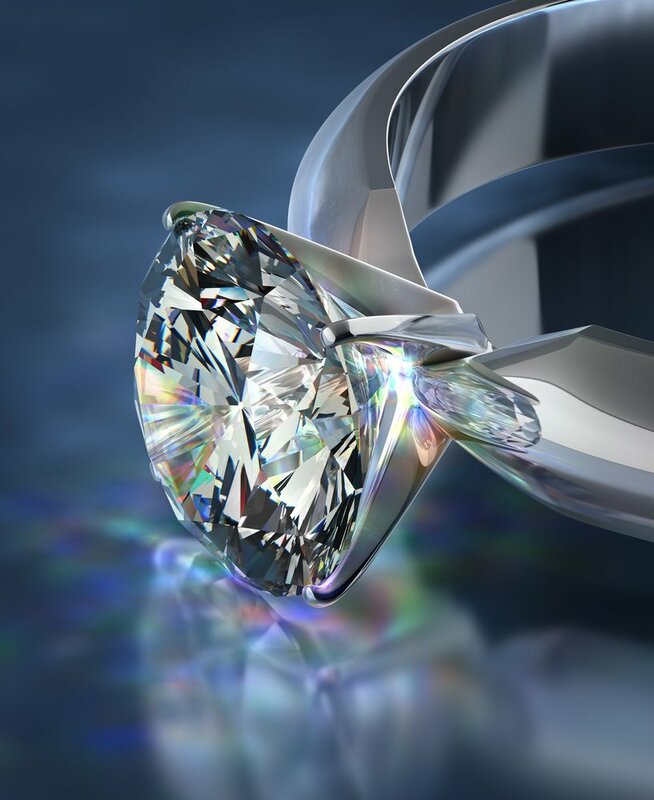 The sources of diamond fluorescence are the same trace minerals that lead to diamond color. The color that the diamond gives off is important. 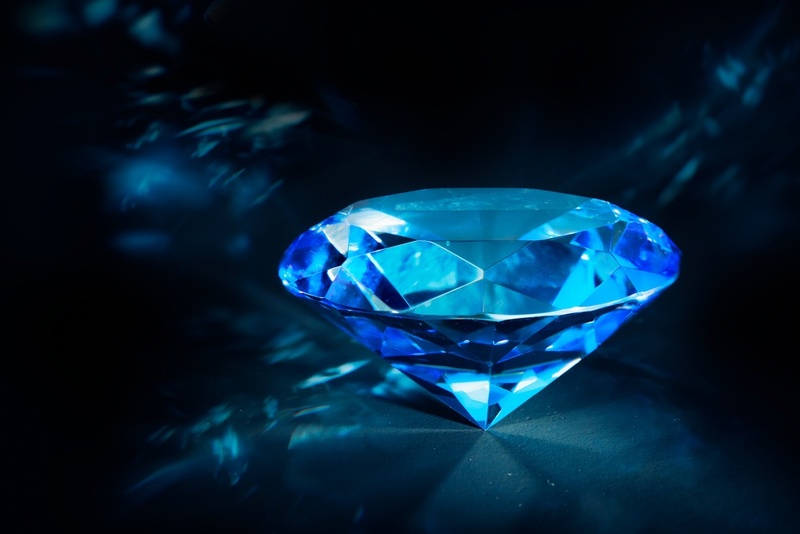 If it is blue, then this can make the sparkling diamond appear even whiter in color. On the other hand, if there is a yellowish color emitted by the diamond, the diamond’s natural color will not be as strong. If there is a lot of yellow color in a diamond, this could influence its price and make it less valuable. Too much of a yellow color makes a diamond look less brilliant and attractive. There are other times when diamond fluorescence is not considered positive. A high level of fluorescence in a diamond could make it look hazy or oily in appearance, especially when coupled with certain types of clarity characteristics, like clouds. The diamond is then valued at a lower price, so it’s best to be avoided. You can prevent negative effects from fluorescence by choosing diamonds that have a fluorescent rating of “Medium”, “Faint”, or “None.” If you like the blue shade that makes your diamond look whiter, “Medium” or “Faint” fluorescence will achieve that for you. If you want a pure, clear diamond, then remember it’s not just fluorescence! You need to look out for other elements that will affect how a diamond looks, such as its cut. Although the industry might stay away from yellow fluorescence, diamond fluorescence is about your personal preference. If the diamond reveals a color that you don’t like when placed under UV light, then this will influence your decision to buy it. However, if the fluorescence of a diamond makes it look even more beautiful to you, then this is a good thing! If you are buying a piece of jewelry with lots of different stones, then fluorescence can also influence the item. For instance, if only some of the stones have a level of fluorescence, this could look odd with other diamonds that don’t. The combination could make them look mismatched. Before purchasing a diamond, always ask the jeweler to inform you of its level of fluorescence. It is also a good idea to see the diamond under different lighting conditions, such as natural lighting, UV lighting and indoor lighting. Pay attention to how the diamond looks in all these settings so that you are sure of its appearance and are happy with its fluorescence, if it does indeed have any. Diamond fluorescence is an intriguing and interesting element of diamond jewelry that you need to consider before purchasing a diamond. By understanding more about it, you can ensure that you buy yourself the perfect diamond according to both value and your personal preference.